In TME’s offer you will find TESAT connectors for trailers and towbars. 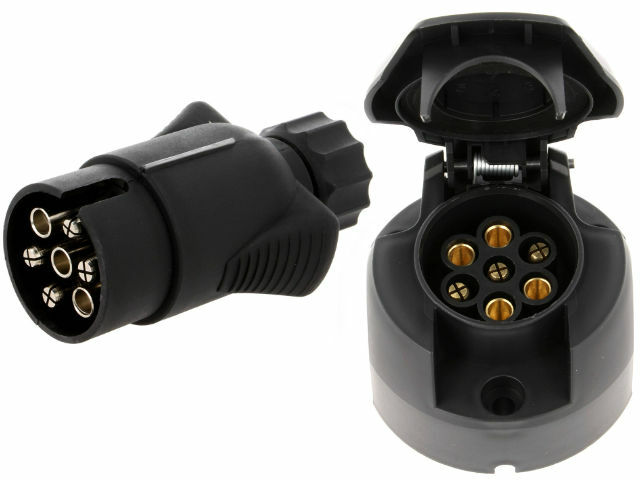 7-pin plugs and sockets conform to the PN-ISO 1724 standard and are made of plastics. Brass connectors (male connectors with a deep cross cut) are designed to ensure the best possible connection in all conditions. In TME’s offer there are also non-plated brass connectors and nickel-plated brass connectors with additional seals and glands for several different wire diameters.